Fight Club tables are available at all stakes levels and played as No Limit Hold’em. 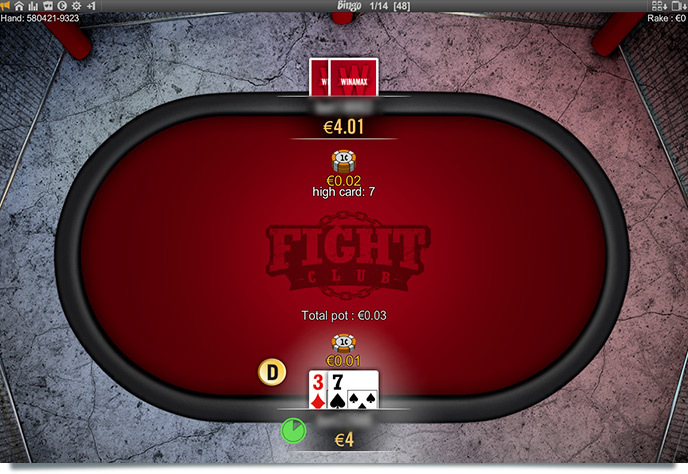 Once in the cash game lobby, select “Fight Club” from the filter. Choose your table according to the stakes and launch your Fight Club session! You are able to play up to four tables of the same stakes at the same time. Hands played at Fight Club tables are taken into account for the Hand Challenge, Cash Game Challenge, Guns&Glory cash game missions, and Happy Hours.